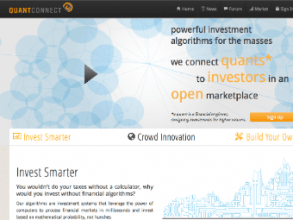 QuantConnect – where cloud computing meets open data for Algorithm Trading. QuantConnect, a radical FinTech open data trading startup was established In 2011 with an ambitious goal: offer open trading data algorithm technology to mainstream audiences. QuantConnect follows the concept of open data philosophies that data should be freely available to use and republish as necessary, without restrictions from copyright, patents or other mechanisms of control. The founders aim to empower the general public with powerful tools to make trading and investment accessible through advanced technology to general audiences. Jared Broad, QuantConnect co-founder and CEO won a Start Up Chile grant In 2011 and since that was invited to the TEDx Wall Street event and Battle of the Quants in New York (April 2012). In this last conference founded focusing exclusively on the growing quantitative hedge fund community and industry, by the hedge fund visionary Bartt C. Kellerman’s Global Capital Acquisition in 2006, Jared has been displaying his vision of a further advanced trading platform that can push the boundaries of algorithm trading, using the most advanced technologies to offer open data. Offering US equities tick data going back to January 1998, and updated daily with latest market data QuantConnect displays over 16,000 stocks, in an open library of data provided by QuantQuote. Besides this it offers an impressive FX tick data on 13 major currency pairs going back to April 2007, and updated daily with most recent market provided by FXCM. With another deal with Estimize QuantConnect provides quarterly earnings predictions generated by a community of 13,000 traders and investors. 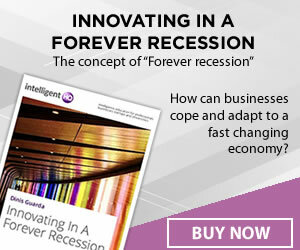 Through the data from Estimize that goes back early 2011 and covers most stocks QuantConnect manages an impressive better than most of Wall Street’s predictions, such as 69% of the time better performance! Last but not least through a partnership with StockPulse QuantConnect provides Twitter Sentiment Analysis to identify the most relevant capital market moods, rumors, and market-moving trends with it offering a valuable array of trading ideas and signals on every traded asset in the world. QuantConnect is a new trading and investment cloud-based algorithm service and community startup that was seeded between Chile and New York. The company aims to level the playing field for independent traders by providing the right technology tools to design and execute present and future proof trading strategies, and back-test their programs using historical market data. The project is the brainchild of Jared Broad, serial entrepreneur born in New Zealand, founder of automated trading firm Stocktrack.org, and Shai Rosen, founder of Chilean auction website Ganeselo.com. The service has been in the beta-testing stage for the past year with programmers including graduate students interested in pursuing a career in quant trading, and computer scientists from leading financial firms. The firm has been working quite hard in its disruptive strategy and has signed up thousand of prospective clients in its community platform and raise its profile at conferences such as Finovate in London and TechCrunch in San Francisco. During the process the firm has been creating an unique space in the algorithm trading industry, including the respect and support of employees of Google and Facebook. Tshe recent partnership with high profile trading global players such as FXCM and tech innovators such as Estimize and StockPulse gives them an unique outstanding spot. Looking further ahead, the firm has plans to set up a hedge fund based around the most successful managers, marketing individual strategies to retail investors via online brokerages, and packaging the best algorithms as an exchange-traded fund. Although QuantConnect appears to have first-mover advantage in what could be a very lucrative market, they have at least one potential competitor in the form of Quantopian, which is working on a similar offering. The Boston-based technology shop has the backing of VC investor Spark Capital and high-frequency market maker Getco. Unlike MT4, which uses the proprietary MQL4 programming language for its algorithms, Quantconnect uses the C# programming language, a general-purpose object-oriented language derived from the popular C/C+/C++ family of languages. Programmers can design and back-test their strategies for free, using vast cloud computing power leased from Amazon.com, and will only be charged when they want to make trades with their strategies by setting up trading accounts. Instant access to this massive computing power means that a simulation based on 30 stocks in the Dow Jones Industrial Average could be run in a matter of minutes. By comparison, the same calculations on the average desktop computer would take several days to compute. Applying principles of openness and transparency in all aspects QuantConnect is creating a spot in a high competitive and disruptive part of the global financial and trading world. For that QuantConnect defines themselves as an innovative company giving any advanced algorithm trader or a complete access to an enormous library of financial and capital markets data, thanks to a generous network of data partners for providing the right resources. 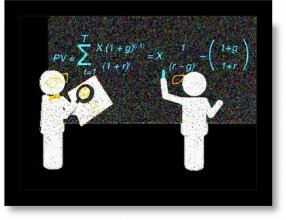 Algorithm Trading: How powerful is it?